IKEA cabinets can save you a bundle — but there are some sticking points to be aware of before installing them. Say you're redoing your kitchen and you don't have lottery winnings to give you an unlimited budget. 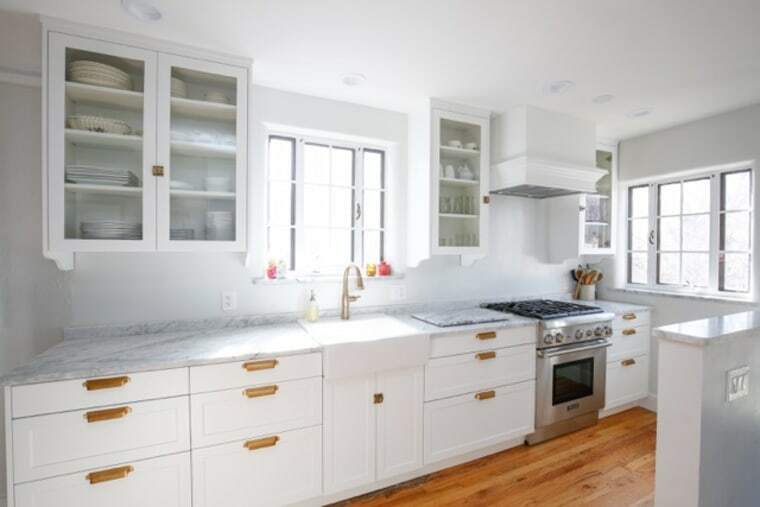 Cabinets tend to be the costliest item in a renovation, but you'd like to have a little money left over for other niceties like a new fridge or a cool backsplash. Where do you turn? Chances are, you've probably heard about IKEA cabinets from one of its cult followers. People who have IKEA kitchens tend to love them. What's the big deal and why do they show up everywhere? I wondered the same thing as I started planning a remodel of my own 1890 kitchen that lacked any cabinet system whatsoever. Reeling from sticker shock at big-box and cabinet-shop prices, but apprehensive about flat-packed DIY cabinets from the Swedish giant, I went down an IKEA cabinet rabbit hole and am here to share some key takeaways you should know before you take the leap. First things first. There's a huge sale periodically and it's going on right now (it ends Sunday, July 29). The IKEA Kitchen Event is a straightforward 15 percent credit on a purchase of $2,000 and up in the form of an IKEA gift card to be used on a future purchase. If you don't buy your cabinets during a sale and then — oh no! — the sale launches shortly after? It's worth contacting the store. Several IKEA fans I heard from said they bought just before the sale and the store made good on the special offer. The bad news? Everybody else wants an IKEA kitchen right about now, so I hear it's a bit of a zoo. You'll need an extra dose of patience. IKEA cabinets come ready to assemble (also known as RTA) in “flat-packed” boxes. They're “frameless,” meaning you make use of all the space inside the cabinet, and are designed to hang on a rail system, with adjustable plastic feet on the base so they don't sit directly on the floor. They're constructed of particleboard wrapped in melamine (pros and cons of that vs. wood are an entire other story). An intrepid and budget-minded DIYer can do everything from design to pick-up to assembly to installation — or hire out everything to IKEA and their partners or a whole cottage industry of people ready to help every step of the way. Likewise Kim Sorise, a teacher in Louisville, Kentucky, also spent about $5,000 for her IKEA cabinets. Seven years later, it's going strong. You can design it yourself, but should you? “An IKEA kitchen can look really bad or really good,” Grote, who has designed 170 kitchens, says. “It is worth your time to hire a designer. There are so many aspects of kitchen design to make sure it functions well.” A number of designers like Grote specialize in designing IKEA kitchens, and of course there's help available at the store itself. While IKEA has a limited number of cabinet fronts available — “we offer about 18-20 options from modern to traditional styles,” Wilber says — several companies offer fronts designed just for IKEA frames. Especially for clients with higher-end houses, “I advocate they use custom cabinet fronts like Semihandmade, which I personally love,” said Grote. “The quality is really, really nice and you have the option to DIY where you pick your Benjamin Moore paint.” Of course there's an up-charge for this of at least 20 percent, maybe 30 to 40 percent over IKEA prices, she said. And you're not locked into IKEA hardware — I picked up some vintage brass cabinet pulls for my cabinets early in my planning stages. Check out blogger Stace King's post I Promise These are IKEA Kitchens and get ready to overload your Pinterest. “Most of our customers hire someone to install their kitchen,” she adds. That bumps up the cost of course; IKEA's installation partner averages a cost of $2,600. But confident DIYers have tackled the job successfully. Michelle Bingham, a graphic designer in San Ramon, California, and her husband have done IKEA kitchens in their last two homes. “IKEA instructions are a bit lacking in info, pieces aren’t labeled and sometimes the illustrations aren’t that helpful,” she says. “You really have to work within the IKEA sizes and it is tricky trying to figure out what can fit and where it can fit, we even retrofitted items to finish off things nicely.” When they did their second kitchen, “we knew what we were in for and felt comfortable assembling everything ourselves." Want a step by step? Abby Lawson of "Just a Girl and Her Blog" break down the entire process in this great post: "How to Design and Install IKEA SEKTION Kitchen Cabinets." How strong (or popular) are you? The most important part is having accurate measurements of the space and that's not as easy as you'd think it would be. Be aware that an order can be upwards of 200 articles being delivered. We do ask that the customer do a complete inventory while the driver is there. You can charge it! The new IKEA Projekt credit card lets you make equal payments over 60 months for purchases over $5,000. The kitchen is the germiest room. Here's how to deep clean everything.